If you are working on two e-commerce platform that is Flipkart and Odoo and facing difficulties in managing data on both platforms. 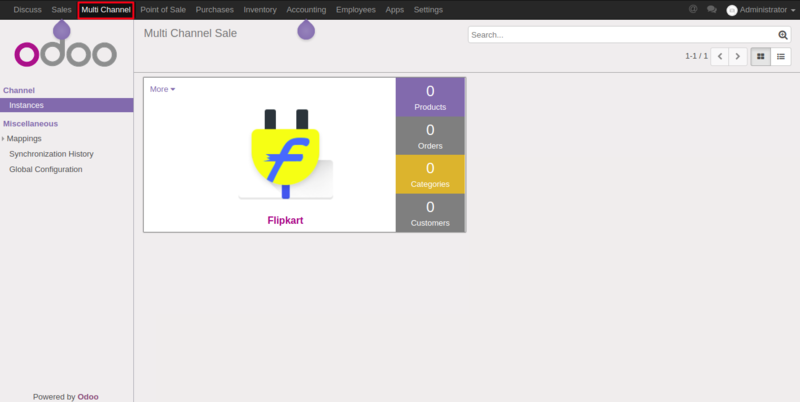 Then in order to solve this problem, we have introduced our plugin named “Flipkart Odoo Bridge”. Flipkart Odoo Bridge allows you to synchronize your data like Product, Orders, and Customers between Flipkart and Odoo. Using this plugin you can import Product, Orders, and Customers from Flipkart to Odoo. 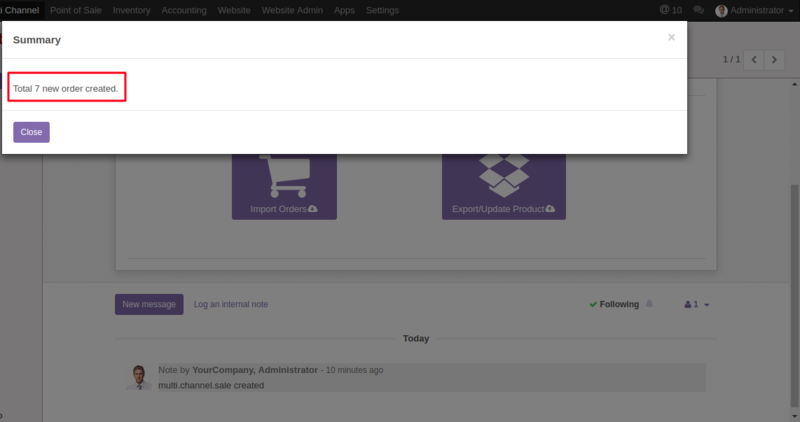 Also, it exports and updates Odoo Product on Flipkart. This plugin is dependent on “Odoo MultiChannel Sale” plugin which integrates different E-commerce Platforms with Odoo. It import Flipkart’s Products, Orders, and Customers in Odoo. It exports and updates product from Odoo to Flipkart. Using this plugin you can create multiple instances for, importing data from Flipkart with a different set of configurations. It does real-time stock synchronization. After installing Flipkart Odoo Bridge with the dependent module Odoo MultiChannel Sale a new menu “Multi-Channel” will appear. Define all credentials and configuration correctly and then a new “Operation” tab will appear on your Flipkart Instance page. Using this plugin on clicking “Import Orders” button you can import Orders from Flipkart to Odoo. 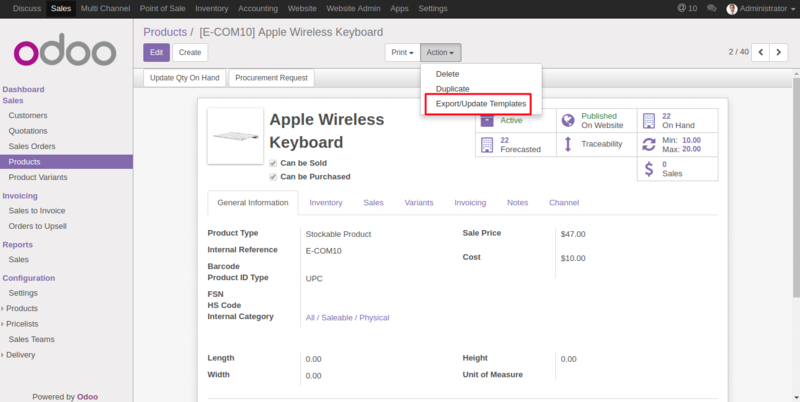 With Orders, the corresponding Products and Customers are also imported to Odoo. To import order you can define the Flipkart Order Status, according to the status the orders will be imported at Odoo end. If the order status is not defined then all orders will be imported irrespective of the status. In order to map Odoo Order State like- Quotation, Draft, Confirmed etc. according to the Flipkart Order State like-Approved, Cancelled, etc. you need to configure the Order States of both channels accordingly. For example- Those orders whose state is “Approved” at Flipkart end will be mapped and synced as “Sale Order” state at Odoo end. 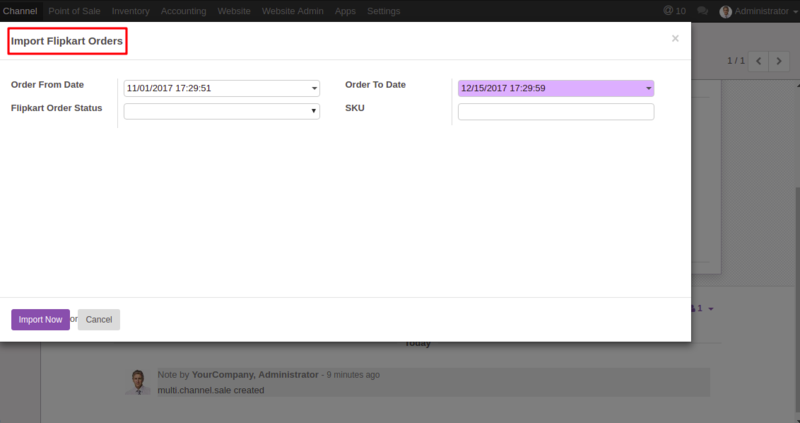 Also for those orders whose state is not mapped will come under “Default State” at Odoo end. It exports and updates Odoo products on Flipkart. Either you can export/update all products at once or you can you export/update single product template at a time. 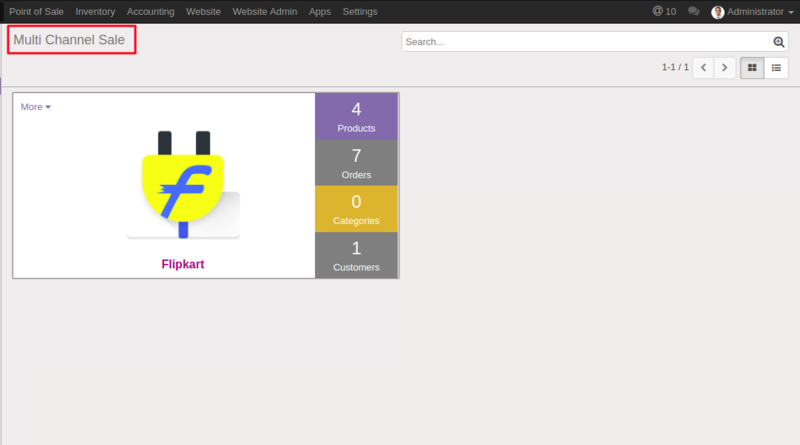 In this way using our “Flipkart Odoo Bridge” module you can manage both platforms Odoo and Flipkart smoothly.